I used to make parts for my old junk cars and some thin sheetmetal work for my friends (they were not junk, only mine, easier to practise on my own car) and at the work they had a shop I could use. Some serious quiljotine, press, folders a lot of stuf from car gauge thin plate to 20 mm and more thickness and several meters capacity. They are not manufacturing parts anymore, therefore this option is gone. 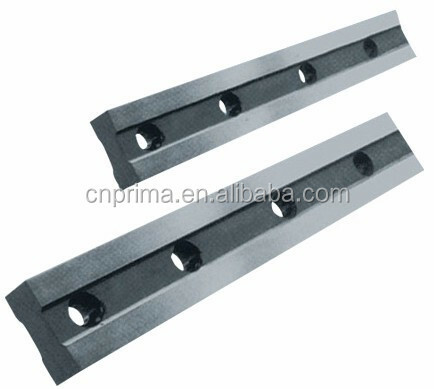 I have used a chinese bead roller (my brother has one) and made long time ago a passable sheet metal brake, but I have been trying not to buy sheet metal tools....they take up much space that I don't have and for car panel work you really need pretty big ones. Lately I have been making some electronics and wile I have been making some small enclosure this got me thinkking of buying very small sheet metal fabrication tools. I ordered 0,30 mm tinplate, 0,5 mm copper sheet and 0,9 mm aluminium sheet. I have some thinner and some thickeer sheet metal old stock. I have meen making some stuff with traditional hand tools and while Pelican Snips work ok, they bend offcut, while hammering bends metal it not as crisp as it could be.....all the excuses to buy more tools. * Mild steel (max. 1 mm now but close to 1,5 would be really nice), copper (max 0,9 mm), aluminium (max 1,2 mm now). FR4 circuit board would be nice. * idela width 300-600 mm. 200 mm would do now, but might turn out just tad too small. Ideally those 2-in-1 or 3-in-1 machines looks ideal on work table/storage point of view. But how are those "import" machines and how usefull they are? 1: Thre are some originally swiss machine copies that have guiljotine type shear on the top of the slide and bottom of the slide has a brake press. 2: another type is "Formit" 3-in-one, shear, press brake, and slip roll. For me #1 looks more rigid, but is there a fundamental difference between them? My first oprion was to find a sher/quiljotine for cutting the metal and then finger pan brake, but they seem to be almost nonexistent in small and afordable conguration. Cutting is the most important feature and rest is balacing between press brake or finger folder. After trying out many work arrounds with a simple folder, finger type pan folder has some apeal. For only these very thin materials I can work semi decent with a snips and folding pliers, but it becomes a a bit chore at 1,2 mm steel plate and that seems to crop up increasingly....I do have a hydraylic shopp press and have been gobling up various press brake type contraptions on 5 mm and thicker materials...fine for those one offs, but does not cut with thin sheet materials. Too slow, fiddly and scratchy. Re: Thin sheetmetal folding, bending cutting. I use separate bender and rolls, mainly due to the only clear space usually being the vice. Bender and roll live elsewhere in the workshop when not in use, I can manage the weight of each item, but couldn't the formit. if it has space for a permanent home then go for it, very useful machine but as others have commented take the bend, shear and roll capacity with a pinch of salt. Been thinkking...that small machine might get it's own table. Weight is good. How much they lie on spesification? Is it like on lathes: You can sort of chuck the part, but turn only close to 50% of sales capacity. For some reason, my biggest concern is cutting capacity and blade adjustment. I have a policy of never buying a tool with "mini", "multi", or "in one" in its name. As such I own a vice mounted manual press brake of the same designs you show. It works really well and will bend 1mm steel to 300(ish)mm wide, and 1.5mm to about 100mm wide. Quite happy with it for the amount it gets used. I also have used a friends vice mounted rollers, which are of similar origin and they did the job..
As the former owner of an "in one", I'm adopting your policy. Those universal hobby-grade power tools and 3-in-one machneshop lathe/mill/drill contraptions are something I steer away. For some people they seem to work. And many "miniature", "mini", "accurate" labels means that they are purely ornamental. However, the type #1 machine that has a shear and press brake looks like it would do the work. For some reason it mostly available very small. And I never used these combination machines, therefore I'm skeptical, but on paper they looks like they might just work. And they are popular. There must be something in them. On one finnish forum I pretty much have been told that 305 mm 3-in-1 has ok roller, press brake is marginal and no one speaks about the shear. My intrest is on reverse order of these. Can you not try one in a dealer show room with your own metal? This is 3:rd world country when it comes showrooms. I know one place that has JET-brand machines 60 Km away. They have no sheet metal machines. Plenty of dealers, usually there is one machine shaken out of the box, unadjusted and forbiden to try. Best story I heard was "import" anvil that potential buyer wanted to do bounce test with a ball bearing ball "you can't do that, because after that we can't sell it new anymore". Two places are that much up north that visiting Germany would be more cost effective. I need to buy or skip something blind. Do you not have some legislation like our 'distance selling regulations' ? It gives the 'sight unseen' purchaser many rights when it comes to rejecting something that fails to meet expectations. We do. pretty much have right to return anything within 14 days of purchase. It's still a hassle, but that might be a route I'll take. Probably I will be coming at obtuse angle to the problem and first ask what is the capacity and say that if the capacity is not met, I'll return it. The prblem is ofcourse what is "fit for purpopose", but if seller says it does 1,0 mm thick mild steel full width and bend is visually straight, then it should. Still I'd like to succeed on first try. 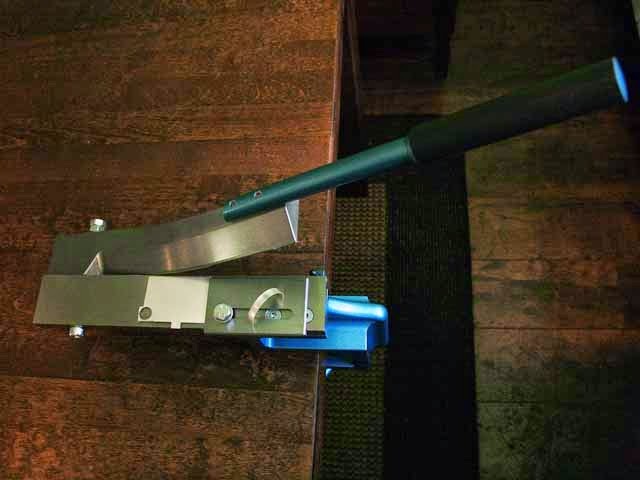 Have been googling some sheet metal tools and it looks like most of tools have been made DIY, but can't really find too much material on self made sheet metal cutters. While cleaning, I found two pieces of pretty hard steel 12 mm thick and about 32 mm tall, threaded holes on the middle. Could these be from sheet metal cutter? They don't look like it to me! First of all, they are straight and secondly, they are symmetrical, my experience of shear blades is that they have one cutting edge. What about swing beam blades, like this? They look like parallels to me check them for straightness , at that size they won't have been cheap . I bought tmen 2:nd hand as parallels, one is pretty straight, other is wavy about 0,01 mm. Seller said they used them for setups on the mill. Now I'm looking at them and they have threaded holes on the middle and look remarkably much like blades on swing beam sheet metal cuters. I have been googling. I have seen some paper roll splitters and their blade looks a lot like traditional quiljotine blade on paper/plastics cutters. The steel press type cutters (Guiljotines) have pretty obtuse angle, wherreas manual curved shears have pretty acute angle in comparison. Finger brake press looks on small size pretty straight forward to do, on the other hand they are pretty afordable too. Shearing very thin metal cleanly is a little hit and miss...sometimes good normal scissors work really well on very thin metal, specially on aluminium and brass shim stock and then I have had good results with quality pelican shears on 0,7 mm car body steel plate. But shears will bend the offcut and longer straight cuts then to have a little jagged edge, which is easy to file on thicker plate, but proverbial on 0,4 mm tin plate. There I want one clean cut, without burr and without folding/twisting. I used Finnish made manual bench shear on shim plate, so far it is my bet, if I can find one in reasonable price/condition. New ones are pretty expensive. So simple it hurts. The upper blade is curved and cuts easy, design is such that straight and curved cuts are possible, but downside is that offcut is curved. Almost needs to be rolled straight. And it's pricey. I'll buy few hand tools and see which one buggs me most....I'm pretty sure it is cutting. I haven't got any more bending or cutting tools. Had plan to see one 3-in-1 12" multi tool, but have been to busy at the work to make any shops that are of any distance. I have got some couraging messages, they actually might work. 1. Cutting. If I want to avoid distortion and edge should be clean, which sort of cutter would be good? Bench shears seem to curve the offcut pretty much. Another dimenssion on cuttig is clearance between blades, read that 2-3% of material thickness is pretty close to correct one. That is not much on 0,2 - 0,7 mm materials. 2: Been trying to figure what is the fundamental difference (and ecological nieche) between press brake and pan brake? There seem to be press brakes models that have fingers.